Applications for Z-degree grants are available annually in October. 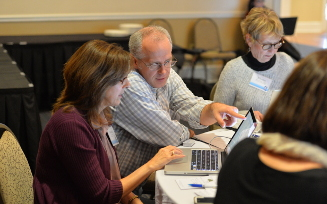 In-person training is conducted by learning specialists from Lumen Learning in mid-January. The grant timeline gives participants 8 months to develop their OER course for the following Fall semester. What does a typical training involve? Introduction to Lumen’s Candala and Waymaker platforms, delivery systems for your OER. Instruction to backwards, focused on your own course and aligning content with learning objectives. Exploration of OER resources with which to build your course. Support from Lumen learning specialists, and campus librarians and instructional designers in preparing your course. 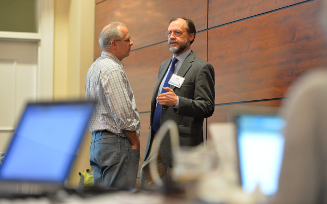 Opportunities to take part in OER-focused faculty development events. The University of Mississippi also offers additional training and development through the Academic Innovations Group. Check back soon for information about upcoming workshops. 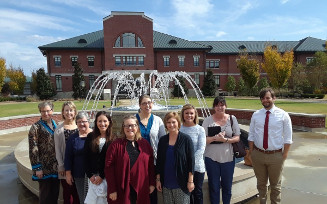 We have developed a series of training modules about OER, copyright, and open licensing specifically for Mississippi teachers. These modules are designed to provide context for getting started with OER. They’re a work in progress, and we welcome your feedback.